The Refined Geek » Are We Gamers That Afraid of Female Protagonists? Are We Gamers That Afraid of Female Protagonists? There’s little doubt that the majority of the games industry is skewed towards the male gender. Primarily this is because it was a male dominated industry in both production and consumption for much of its nascent life. Depending on your platform of choice this is still very much the case (although strangely 40% of PC gamers are women, compared to 25% on consoles) but overall the balance is much closer to the actual gender split than it ever has been before. With that in mind you’d think that the choice to use a female protagonist, something that isn’t exactly a new idea, wouldn’t be exactly controversial. I’ll admit that given a choice between playing a male or a female character in a game I’ll choose the male one. For me the reasoning is simple, if given the choice I feel like I’m projecting myself into the game and thus want my avatar to represent me (and, given the choice, will recreate myself in the ultimate form of narcissism). However my experience doesn’t really differ that much should that choice be made for me one way or another as then I’m playing as that character in the story, not as a direct representation of myself. Thus the idea of having my character kiss another guy (or girl) in the game won’t make me feel awkward unless that what was intended. What gets me though is the idea that the publisher thought that a game wouldn’t sell due to the female lead. Sure if you’re targeting consoles there’s an argument to be made that you want to target your largest available audience. However with titles like Tomb Raider breaking its own sales records, even on consoles, that kind of logic doesn’t really hold up. It’s not just the success of that particular franchise either as things like the Dreamfall Chapters Kickstarter showed that there’s lots of demand for these types of games and not just from the female gamer crowd. Honestly when I first read this my anger was directed at the general gaming populace as I felt that that’s where the publishers would be drawing these conclusions from. 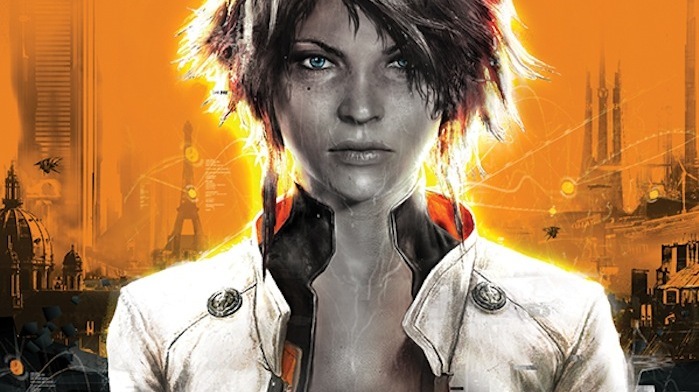 Digging deeper into it however I feel that it’s more the publisher making those decisions for us as there are many examples of great selling games that have female protagonists or even just strong female characters. Personally I feel that us gamers are far more comfortable with the idea than the publishers give us credit for, especially with all the recent success stories. Hopefully it’s just one naive publisher executive making an incorrect call as I and all my gamer friends certainly have no issues with strong female leads. I generally choose male too if given a choice as I like to imagine myself in the game (like you) but I have no problem playing a game with a strong predefined female lead. Some of the old Sierra adventure games had great female leads. King’s Quest. Laura Bow. Grace Makimura in Gabriel’s Knight. Enjoyed those games immensely. Broken Sword was another (not Sierra) which had one of the protagonists as female. Nico I think? Forgot about Perfect Dark (Joanna Dark) with the N64 followup to Goldeneye and also Cate Archer in No One Lives Forever.